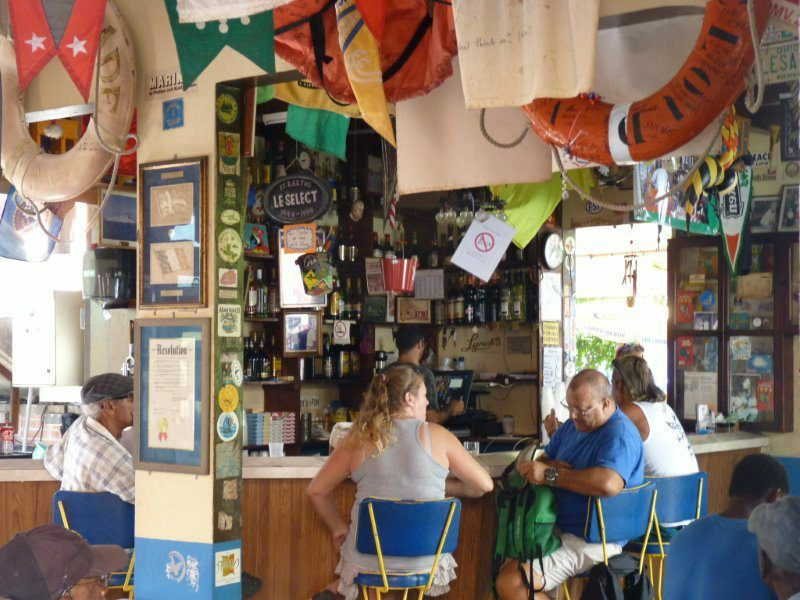 Home to a “cheeseburger in paradise”, Le Select Café in St. Barths is smack dab in the middle of downtown Gustavia, and is very easy to visit while on a crewed yacht charter in the Caribbean Leeward Islands. Anchor in the harbor in Gustavia, St. Barths, or come in stern-to along the Gustavia Quay. Walk right up the street from the main quay, and you have found a yachting home at Le Select Café, birth place of the immortalized “Cheeseburger in Paradise”, in Jimmy Buffet’s song of the same name. Jimmy Buffet has spent quite a bit of time at Le Select, sometimes giving impromptu concerts and doing exactly as stated in his song, enjoying a hearty beef cheeseburger after time spent at sea. 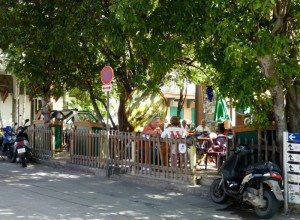 In the past and still today, Le Select Café is the place in St. Barths for those with sea legs to gather. So, stop in and see for yourself, on a yacht charter when in Gustavia, in St. Barths. Le Select does not claim to offer gourmet meals, just a really good cheeseburger in friendly surroundings. 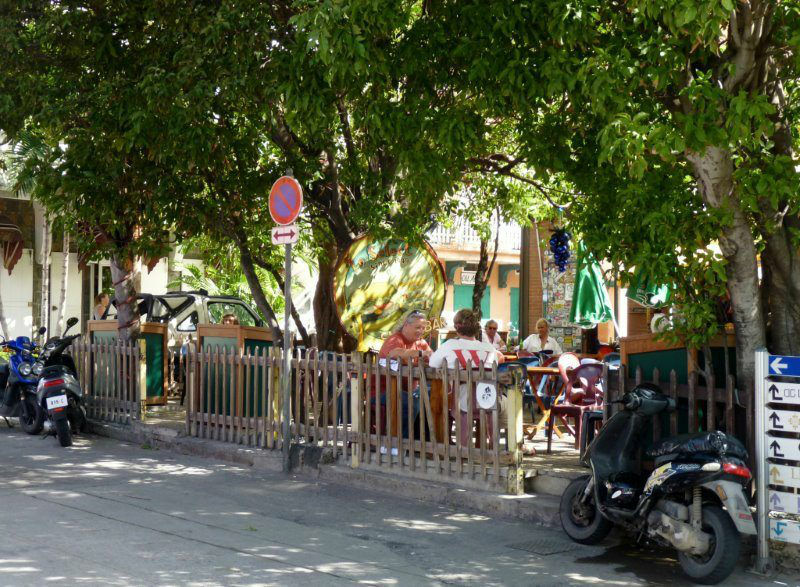 Open since 1949, by Marius, Le Select Café is really in the center of downtown Gustavia: a block up from the quay and at an intersection where every car driving through Gustavia passes. Seating is mainly outdoors, so settling in at an outdoor table is a great location in which to watch life in St. Barths pass by while enjoying that for which Le Select Cafe is famous – A Cheeseburger in Paradise. Inside, the café is dominated by a large wooden bar with tall bar stools, where many a mariner tale has been spun. Besides an age old landmark in downtown Gustavia, Le Select is also one of the best values in St. Barths for a burger and a beer. 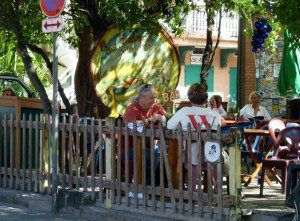 Walk up from the main quay, and stop in for a bite when in Gustavia, St. Barths on a crewed yacht charter.